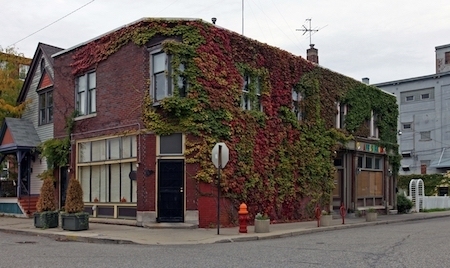 Birmingham-based Lutz Real Estate Investments today announced a joint venture acquisition of a Corktown property that’s home to Mudgie’s Deli and Wine Shop on Porter Street with Gould Investors L.P., a New York-based real estate firm. Under the new landlords, Mudgie’s Deli and Wine Shop will remain owned and operated by Greg Mudge under a long-term lease. Additionally, the property purchased includes an apartment building and parking lot. Jon Epstein of Lutz Real Estate Investments says Corktown’s evolving social scene was an attractive feature of the property that lead to a purchase. “We feel very strongly about the resurgence of Detroit, and Corktown is about to see a large residential expansion,” he says. “Mudgie’s Deli and Wine Shop has become one of the most popular restaurant destinations in Detroit. We responded immediately when we were presented the opportunity to purchase properties with a long-term tenant anchoring an iconic building located in an expanding area like Corktown. Kyle Shenfeld of Gould LP says that the purchase of this property symbolizes the type of property that the joint venture is seeking. In May, Detroit-based Soave Enterprises and its Soave Real Estate Group unveiled a $150-million, multi-phase plan to transform a 4.5-acre, five-block area of Corktown, bounded by Michigan and Trumbull avenues, I-75, and the Lodge Freeway. The centerpiece is the former Checker Cab headquarters along Trumbull, just north of Michigan. Built in 1927, the three-story, 120,000-square-foot structure, along with the business of Checker Cab, was acquired by Soave Real Estate Group in 1998 to take advantage of the city’s emerging casino market and nightlife offerings. Comerica Park and Ford Field would soon open, as well. In recent months, Soave relocated Checker Cab to Lafayette Park on the city’s east side to make way for Elton Park, a development of 420 residential apartments (20 percent affordable), up to 30,000 square feet of retail, a public space called Checker Alley, streetscape improvements, and parking. The project will be completed over the next four to five years, with the first phase of 151 apartments and 13,400 square feet of retail space within six buildings to open in late summer of next year. In addition, at the former Tiger Stadium site, Detroit PAL (Police Athletic League), a nonprofit organization, is nearing completion of a $20-million youth sports complex, highlighted by a baseball diamond offering 2,500 stadium seats called the Willie Horton Field of Dreams, a banquet center, office space, and other activities. Some 13,000 children will benefit from the complex when it opens in the coming months, says Tim Richey, CEO of Detroit PAL. On the same site, Larson Realty Group will soon start work on The Corner, which will offer 102 apartments and ground floor retail space set in a four-story building that will span both Michigan and Trumbull. In addition, there will be 24 townhomes that will resemble row houses. The $32-million project will take three to four years to complete.